Sometimes it can get confusing as to the differences between a real estate agent, a letting agent, and a management agent. The letting agent has their own set of tasks to fulfill. Knowing what these help the client who needs these services to choose wisely. The letting agent is going to be instrumental in helping to determine the rental costs for what is being let out. It may be a residence or a business property. Ultimately it will be the property owner who makes the final decision as to how much they want in rent. But, the rental agent will do some research to see what the going rates are for the type of property being let out. This can help the owner remain realistic. It is important information that is needed to attract the right tenants. The letting agent will provide the service of marketing and advertising the property for letting out. These professionals have the needed expertise for doing this. They may already have a database of potential tenants that have come to them looking for a specific type of property. The letting agent will do the interviewing of prospective tenants. Ultimately they will make the final decision as to who is the best candidate as a tenant. Another service the letting agent will perform is screening the credentials of the prospective tenants. This includes asking for the proper credentials from the tenant then checking them for their accuracy. 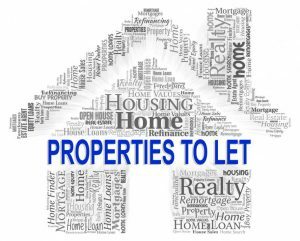 A letting tenant may also offer the extra service of taking control of collecting the rent and depositing it into the landlord’s account based on the tenancy agreement. Some letting agents will give their clients the options of choosing which services they want. Others offer their services as a complete package.